Becker Design Studio successfully pitched and procured the complete marketing package for Armor Dental which was a new start-up in 2015. They had a new product that they were targeting for the general public. They needed to have professional looking materials to enlist the interest of investors and dentists to promote their product. Armor Dental chose Becker Design Studio over other design firms to create their custom look and marketing materials. We created Armor Dental’s corporate identity from the ground up. 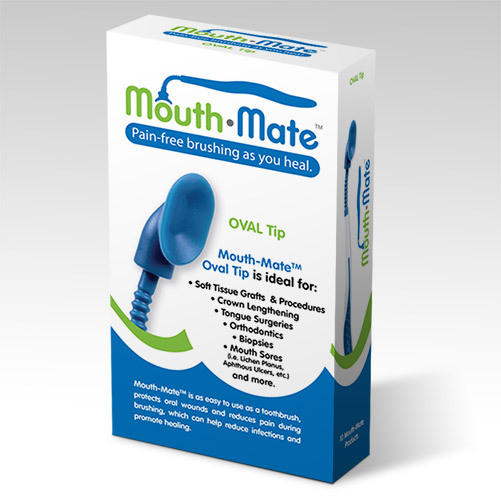 We started with custom logos for the company and their debut product, Mouth•Mate. 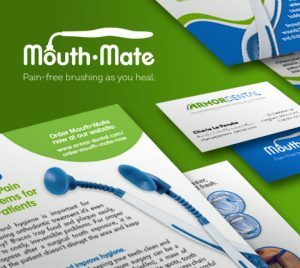 BDS also created all of the marketing materials for the initial launch of their Mouth•Mate product which included: Instructions for Use pamphlet, box design, package insert / envelope design, conference display, 2-page summary, post cards and more. Part of this complete marketing package included two videos that portrayed their product with actors, motion graphics and 3D animations. BDS produced this video by having an initial brainstorming meeting with the client, then creating the script and storyboards. Once approved, BDS partnered with Puffin Media who filmed and edited the video. BDS provided custom 3D animations that were integrated into the video and later displayed on the website for instruction and advertising. 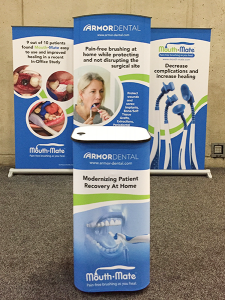 Much of our work can be viewed on their websites: Armor-Dental.com or Mouth-Mate.com. Features: Logos, Business Cards, Email Signature, Posters, Handouts, Brochures, Post Cards, Box and Packaging Designs, Display Graphics, Illustrations, Website Design and Development, Motion Graphics, Videos (Direction, Storyboards and Production) and 3D Animations.